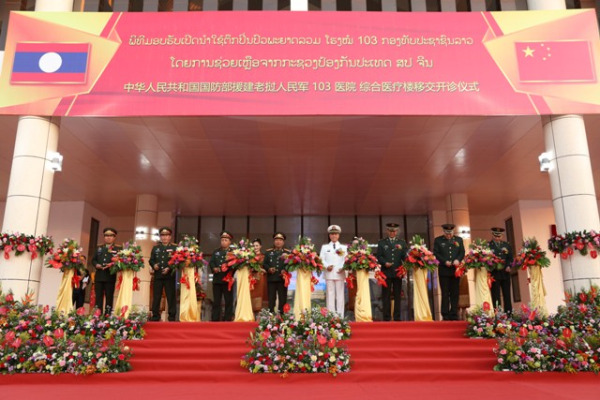 The handover ceremony took place in the presence of the Minister of Nation Defense Chansamone Chanyalath and the Deputy Director of the Logistic Support Department of the Chinese People's Liberation Army Col. Li Xing Jia. 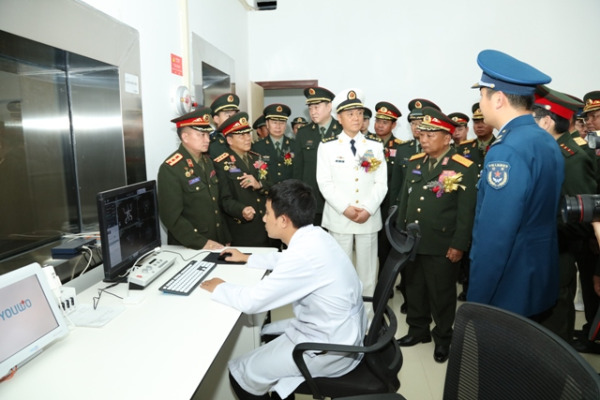 “The project will help raise the standard of medical services provided by the Lao People’s Army and promote the traditional friendship between Laos and China,” said Brig. Gen. Khampheth Sisanon, Deputy Head of the General Logistics Department of the Lao People's Army. “The Hospital 103 project is the most important cooperation project in the health sector for the two countries. The Lao PDR is grateful to the support of the Chinese government. Its assistance has contributed to the development of relationship and cooperation between Laos and China,” said Khampheth.